Sales: Whether you’re already the proud owner of a golf cart who’s trying to expand your fleet or someone new to the market, Golf Car Services will cater to your needs and wants to help you find a model that’s right for you, at a price that’s in line with your budget. We carry a stock of the top name brand golf cars, from a variety of different trusted manufacturers, giving you a range of options that you won’t find anywhere else. Repairs: From a faulty component to damage from constant wear and tear, we’re happy to be your expert provider of golf cart repairs in Seattle, WA. Our team of experienced technicians will diagnostically approach your cart, ensure that the problem is completely discovered and that it’s serviced to the highest degree of excellence, for continued functionality and sustainability. Customization: Can’t seem to find the perfect golf cart for you? Golf Car Services is happy to consult with you to understand your exact needs and after doing so, we’ll craft a customized cart that meets and exceeds them. We have the ability to customize a number of options, including the addition of a lift kit. We offer free quotes on all of our customization services. Parts and accessories: If you’re just in need of a simple replacement part, but can’t seem to find it anywhere, make sure you inquire about our inventory. We stock a huge number of crucial parts and accessories, guaranteeing that you have access to replacement options that you need. From batteries to belts, wheels to miscellaneous parts, we stock it all. EZGO: This top producer of golf cars has numerous options that can accommodate any need. 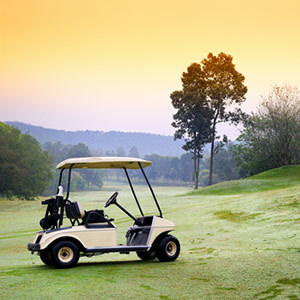 Known for being rugged and resilient, you’ll have no trouble getting the most out of an EZGO golf car purchase. Mitsubishi: For years this brand has been a standalone source for versatile golf carts. Priced for affordability and crafted for sustainability, these carts are known for their superior performance under virtually any condition. Club Car: For those seeking a most sophisticated golf car experience, Club Car has been providing unique solutions for business and personal applications for 35 years. Whether you’re new to the market and are searching for a reputable dealer for golf cart sales or you’re a long time cart owner in desperate need of golf cart service in Seattle, WA, we’re on hand to assist you in any capacity that we can. Give us a call today at 206-295-4067—we’re happy to serve customers in Seattle, WA and the nearby surrounding areas!